June 2018 - Work Smart. Live Smart. Negative Attitudes and Difficult Employees? There are a few employees at my store who are great workers, but who really create tension among other staff members. 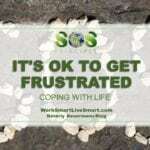 How should I address stress and difficult people? 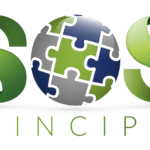 Stress and Difficult Employees Understanding why some employees become more difficult or negative, and when they are more likely to act that way can prevent … [Read more...] about Negative Attitudes and Difficult Employees? 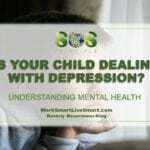 Are Our Children Dealing With Depression? It is hard to understand how a child can experience depression. What do they have to be depressed about? As caregivers and parents, it is important that we know how to understand children dealing with depression. We need to remind ourselves, that while a child's problems may seem minor to us, they can be overwhelming to them. Children … [Read more...] about Are Our Children Dealing With Depression? Children And Suicide: Myth or Fact? 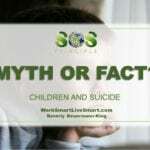 Myth – Children do not attempt or die by suicide In fact, 3% of our children are suicidal at any given time and our rates are increasing among our youth. It's important to understand children and suicide. It is the second leading cause of death among our children ages 15-19 and studies show that 1 in 7 students have seriously considered … [Read more...] about Children And Suicide: Myth or Fact?